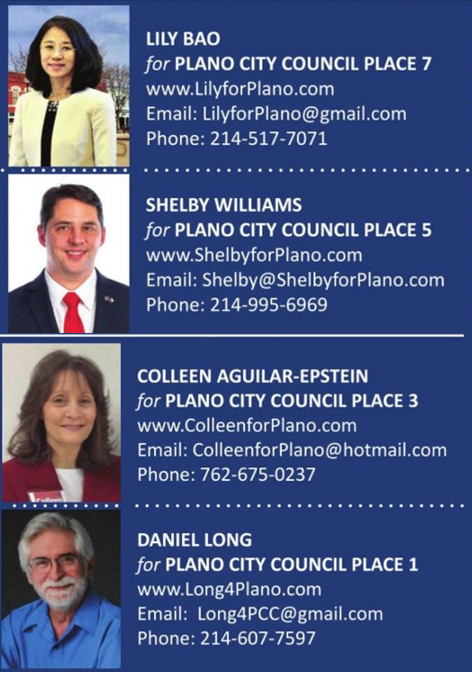 PlanoFuture announces endorsements for the coming May 4, 2019 elections. This is our opportunity to put a City Council in place that will listen to the citizens. The Council has refused to follow the City Charter and require a vote on the comprehensive plan, in spite of the 4,000 signatures of Plano citizens. The City continues to fight us in the courts through endless appeals. The City lost in District Court, the Texas Court of Appeals and at the Supreme Court. Yet they had the gall to ask the Supreme court for a re-hearing – do-over. Who even knew you could ask for that? It holds little chance of success, but the city’s strategy is to continue to delay and make the citizens give up. This is like the Exxon Valdez case - just string it out forever and outspend them on legal fees. Over the past two years we have had a reasonable level of success in slowing the growth in high-density, mixed-use developments. That was a direct result of our successful support of the 2017 City Council campaigns of Rick Smith and Anthony Ricciardelli. While we will continue to have their support for the next two years, Harry and his developer buddies are on the prowl trying to take seats in this year's election to resume their high-density plan for Plano. How is he doing this? Another significant issue in this year’s race is property taxes. Over the past 5 years the City has raised its property taxes on the average home in Plano by 40%. 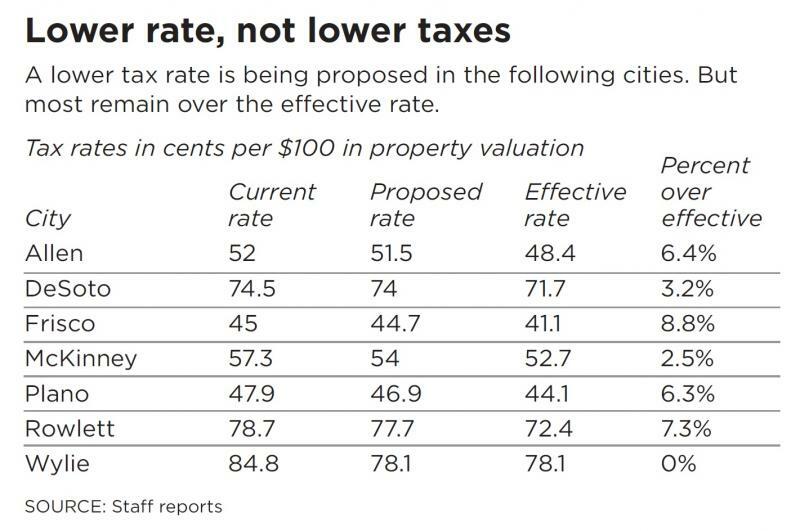 The We Love Plano PAC and their candidates are trying to tell people we love Plano so much we should be happy with a 40% increase in property taxes. They NEED your help. We ask you to VOTE for them. Please reply if you can help or have questions. See a history Comparing budget to actual. The City's budgets have consistently underbudgeted revenues and over budgeted expenses. While the city tries to say this is conservative, it is not because they use this as a reason to unnecessarily increase our property taxes. Being conservative would mean that if the budget was tight, they would hold back on spending until City Management knew how they were performing against budget. Instead they collect more property taxes than necessary and then keep the excess money and eventually find other ways to spend it. One of the areas that they consistently over budget is payroll expense. 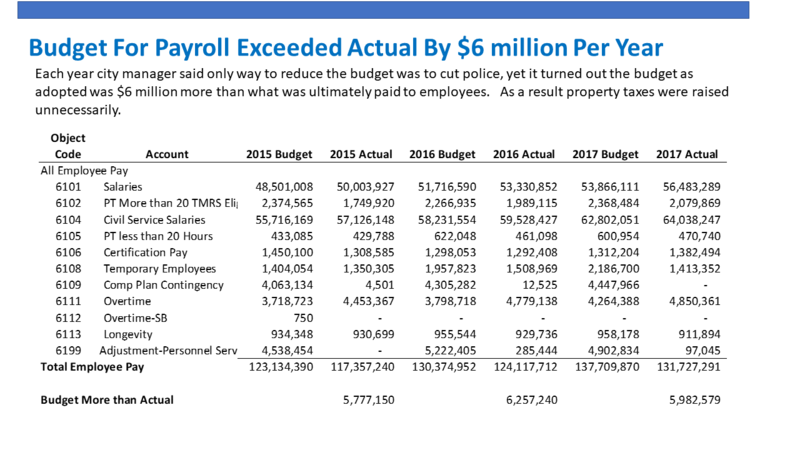 Few costs are more easily controlled than payroll expense, yet the city has consistently budgeted $6 million more than it actually incurred in payroll. Here is a schedule showing budget versus actual. 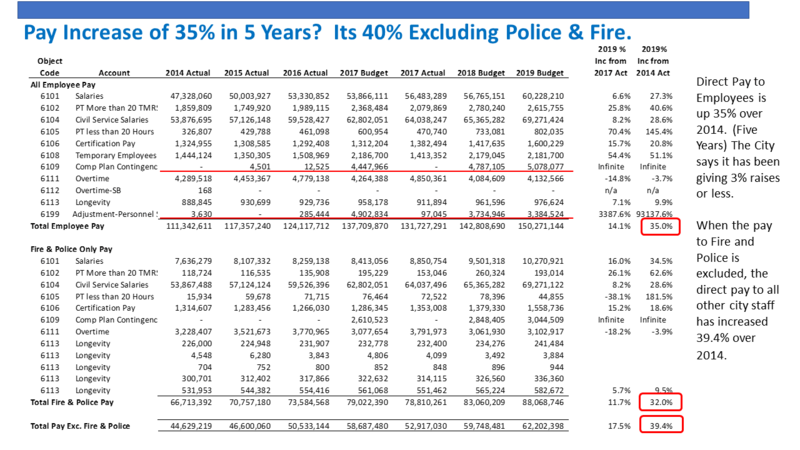 When the city council asked the city manager how they could keep down the budget increases, the city manager year after year said he would have to cut police and fire. In reality there was a $6 million cushion for payroll in the budget. This is the reason property taxes on the average home in Plano have increased 40% over the past five years. The average home value in Plano was $248,817 according to the Collin County Appraisal District. In 2018 the average home value was 369,050. That average home would have paid $972,58 in Property Taxes in December 2013, assuming the homestead exemption while in December 2018, the taxes using the proposed tax rate will be $1,358.99, a 40% increase. The question is why do our property taxes need to go up by 40% over five years? 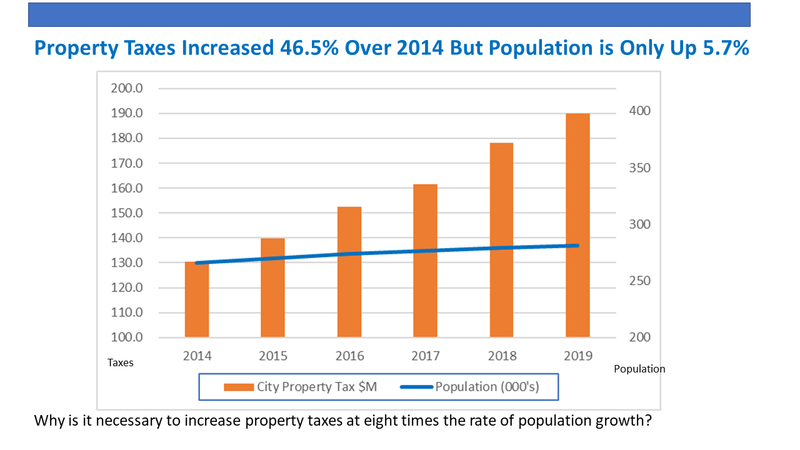 Actually the city's total property tax collections will go up by 46.5% over the same period as all the new properties including Legacy West added 6% to tax collections. See here for a discussion of the budget and tax rates. Is spending out of control? See the links at right for news articles that are relevant to recent P&Z cases and the Plano Tomorrow Plan. Below are excerpts from the Plano Star Courier article on December 25, 2014. You can read the full article with the link at the right. Group Upset over Plano Tomorrow Plan. With only about 7 percent of Plano’s remaining land undeveloped, city staff held a series of public meetings to receive resident input on how to best update the city’s comprehensive plan to direct future development. A group of about 200 residents, according to Jim Dillavou, one of the group’s leaders, has taken issue with the results of the survey and proposed changes to the comprehensive plan, spurring them to write letters to Plano City Council members, gather petition signatures and speak to the Plano Planning and Zoning Commission during its meetings. Also see that attached article from the Minnesota Post on Urban Use developments that fail. It feels like our city leaders believe all proposed "mixed use projects" are great and we should establish as many as we can. Mixed use projects can and do fail. When they do, their size and scale may make them very difficult to fix. Particularly note the last line of the article - "What happens when missed use projects fail? Single use anyone?" is the answer and just as it implies it only leaves the development with an apartment complex.